Good morning! 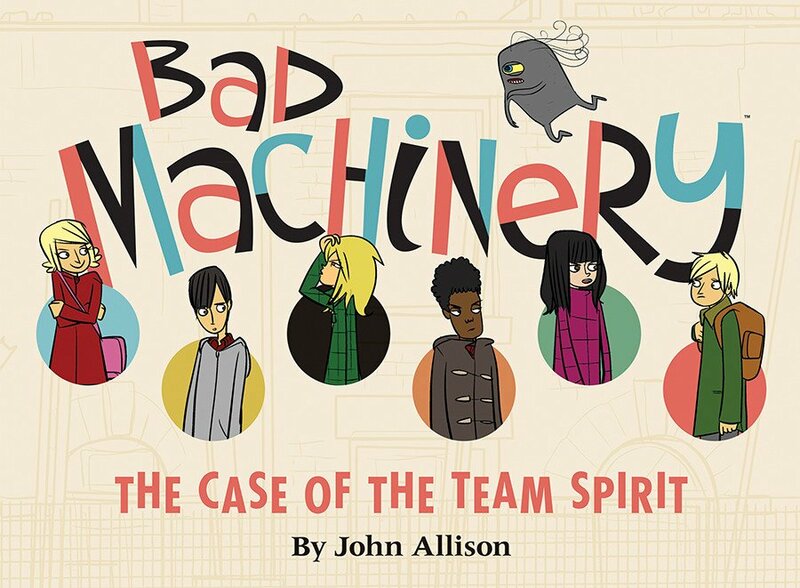 Today I have for you an interview with author John Allison -- the one I promised in my review of the Bad Machinery books. 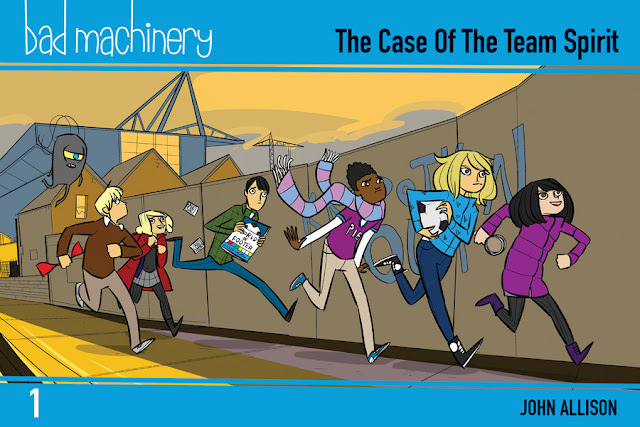 I've found this a very difficult interview to do because I keep having to go back and read more Bad Machinery and other interviews of John (you know, just so I'll "be ready") and then I find myself up past my bedtime, giggling quietly so as not to wake anyone. By way of quick introduction, John Allison is the British author/illustrator of many books, including the Bad Machinery series currently being published in the USA by Oni Press. You can find out lots more about him and read massive amounts of his work on his website, Scary Go Round. I definitely think you should do that. So, one of the things I love about Bad Machinery is that the series does such a great job of capturing people in all phases of life. You've got the pre-teens (who age into their teens) as the stars of the books, but you've also got their younger siblings and older siblings and parents and teachers and even some of the elderly represented as the series goes on. I feel like all of the characters are spot-on. The fact that you're so good at representing all these different phases of life makes me wonder what your own life experience is like. To what do you credit your savvy? To be a half-decent writer, I think you've got to be such a vampire. I hear it over and over again when I read interviews with other writers. You've got to have your eyes open to the way people interact. And it's harder when you work from home, in quite a solitary job, because I don't actually see that many people. And you can't just transcribe people close to you, because they catch you out! It's easier with teens. They're all over the place, they're noisy, they make the place look untidy. So much grist for the mill. I find books and TV series that are just about one narrow age group airless. I think I always have. The idea that the generations barely interact, or exist in these separate bubbles! Even if most of the interactions are built on misunderstanding, that's the good stuff that you want to get to. Every generation has something to teach the ones before and after it. 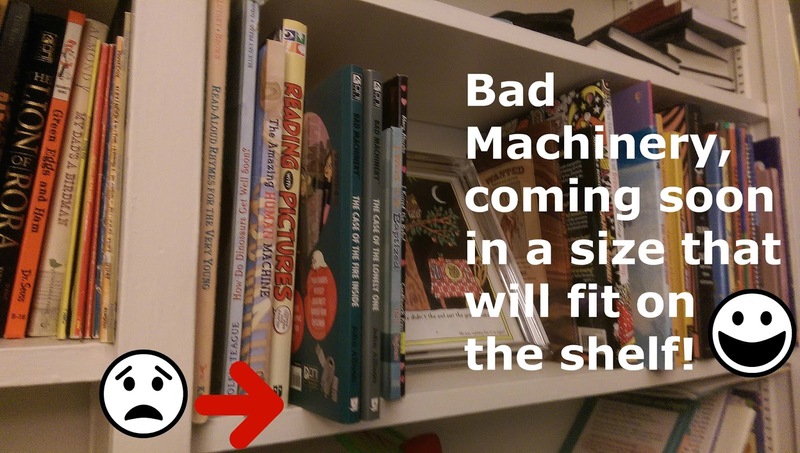 When I heard that Bad Machinery is coming out in a smaller format, I was both pleased and disappointed. I was pleased because the new size it will fit better on my shelves, but I quickly remembered how much I love sitting with the large format on my lap, sharing it with my husband or sister or kids. How do you feel about the new format size? Will it change the way you draw? The large format will still be coming out, alongside the smaller reprints. I didn't design the comics originally to be reproduced so big, the reprint size is the size I originally pictured them, so there's no call to change how I draw. For the life of the series, I've heard divisive views about the size of the books - older readers struggle with them. I've also seen copies in a few bookshops that are really beaten up because they stick off the shelf. Who inspires you, in your work or otherwise? on to the people around him. Still, that's the person who, recently, has inspired me to improve. I admire the way you're able to make Bad Machinery fun and engaging for both adults and kids. Did you design the series with a multi-generational audience in mind? Bad Machinery was a completely cynical creation, designed to be very generic, by someone who is completely incapable of steering the ship straight. Kid detectives! What could be easier than that? But I don't know if I ever wanted to write a straight kids' book. I might have thought I did, for a morning, but it was probably pretty mutated out of shape by the time I got to drawing the first page. 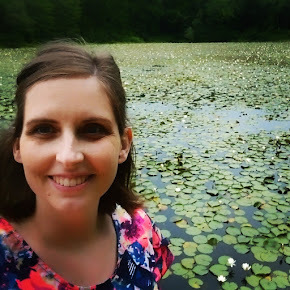 I didn't like being talked down to as a young reader, so I tried to write in a way that reflected that. Since you're British, I have to ask; how do you feel about American politics right now? American politics is sad. The campaign finance, the graft, the pork, it's the cancer in your democracy. That a person would be elected to office, and then spend a considerable part of their time raising money for re-election on an endless 4-year cycle rather than working on behalf of their constituents, is furiously depressing. Candidates advertising on TV, endlessly attacking one another in person or by proxy through PACs, no wonder your government is in bipartisan ruins. The Citizens United ruling! What a disater! Trump is a sideshow, Clinton is a sideshow to a system of government throttled by money and special interests. I guess at some point that particular levee is going to have to break. Yes, so I don't really have any strong opinions about American politics. What is your favorite part of the writing/creating process? Coming up with ideas is a lot of fun. When it's really working, I feel like I'm on the moon. I've trained my brain over nearly twenty years to fly pretty free, and probably broken it in the process. I need a lot of sleep, and I stopped drinking alcohol because (among other reasons) it kind of broke the ideas machinery for a day or two every time I did it. I also love drawing. I've always written just so I have something to draw. It's fun to be in charge of a little world. Despite the fact that I've published lists of my favourite albums every year that I've been doing comics, and have lists on the website going back to 1987, no one has ever asked questions about my love of musical list-making. No one has ever asked about my strict rules of best-of-all-time lists. I feel like I am an iceberg and the comics are the bit above the sea and my lists are the bit below the sea, vast and unknowable. Whether I could answer these questions is moot because I am not sure I should be asked them. I won't even put on a record I like when a friend visits any more. It's just for me now. Haha! Thanks for the interview, John! And thanks for making great books. Just for fun, here is a comparison of the large edition cover to the smaller edition cover. This baby measures 9" x 12"
This one will be about 6" x 9"
More info about the new size can be found at Good Comics For Kids. The first 6x9 "pocket edition" will be released on March 17, 2017 and two will be released each year. More of my thoughts on the series can be found here, here, and here. I love reading your interviews! You are great at making it personable. I can't wait for the new shelf friendly size. And I want to read the second one in the series as soon as I can get my hands on a copy! Thanks! I do try to be personable. :) And I'm glad you're looking forward to the books.